It’s time to imagine our 21st century cities, and how they can be better places for everyone to live, work, play and thrive. Last week we announced the launch of Future Cities Canada, a national collaborative that accelerates innovation to transform cities to benefit us all. Together with Future Cities Canada’s founding partners Community Foundations of Canada, McConnell Foundation and Maison de l’innovation sociale, we are bringing people together in order to work toward this goal. Though we’re being joined by people from all sectors, from academia and government to think tanks and non-profits, residents also have an important role to play as we collaborate and work to create the vision of what our cities should become. By joining Future Cities Canada and its initiatives, you will help shape the future of your city and our country as a whole. The more voices in the conversations around how we build our cities, the more fair and equitable they will become. This year, 100In1Day Canada is back for its biggest year yet with 12 cities participating across the country on June 2, 2018. Each year, residents are supported in transforming their cities across the country through a series of activations in public spaces, from art installations to walking tours. In 2015, Cycle Hamilton used 100In1Day Hamilton to connect with the community and get direct feedback from users on the city’s cycling infrastructure. 100In1Day Canada is a platform that offers direct insight into the cities that residents want and need. Post the June event, participants will be invited to scale their ideas, becoming part of the network of change agents fuelled by Future Cities Canada. This will make 100In1Day Canada a lasting platform for participatory city building. 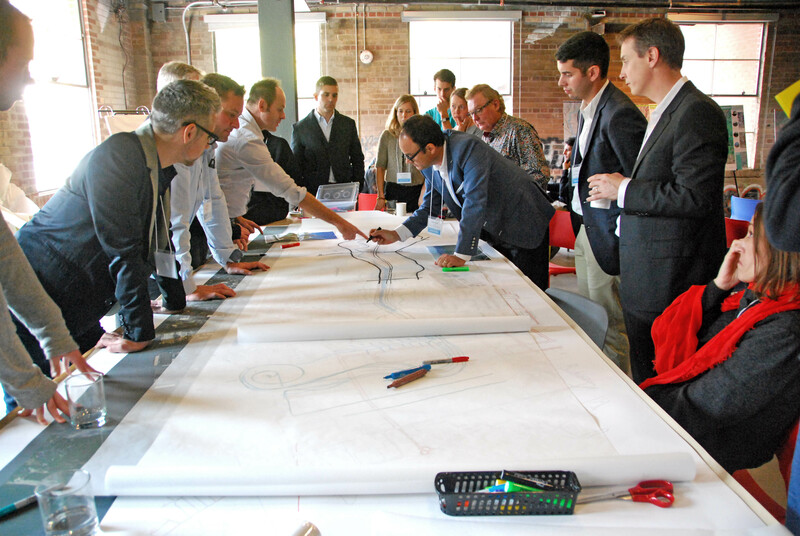 Future Cities Canada hosted a series of roundtable conversations with municipalities and communities across the country. These conversations help us ensure the vision for Future Cities Canada is inclusive of all cities in Canada, from coast to coast. The roadshow kicked off in December 2017 in Cape Breton and Halifax, and continued into April, wrapping up with conversations in Six Nations of the Grand River, Regina and Winnipeg. We’ve captured these discussions in a Roadshow Summary Report. Read the full report on the Future Cities Canada resource page for more insights into these conversations. We can’t build flourishing cities alone. We encourage you to sign up to both Evergreen’s and Future Cities Canada’s newsletters to stay up-to-date on innovative city building and how you can be a part of shaping our future cities.